Initially, Bootstrap was known as Twitter Blueprint, which was developed by the team of Twitter. Bootstrap is a free and an open source framework used for front-end development. It is a responsive, mobile-first and prevailing front-end framework. 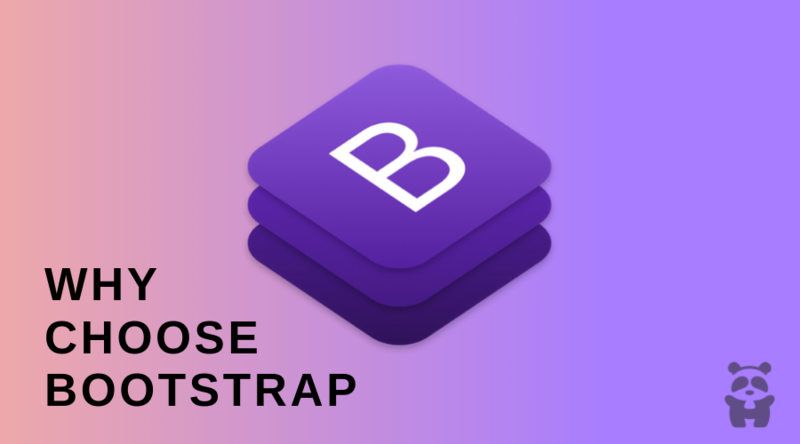 There are certain predefined classes in Bootstrap, which is useful in front-end development to make the web page perfect and also compatible with all the latest browsers. Bootstrap comes with basic HTML and CSS adaptable templates, which are easy to use and implement. It can be easily coded on any IDE or Editor. You can use Bootstrap along with CSS, LESS or Sass. Having a responsive and mobile compatible website becomes compulsory for the growth of your business. A responsive website design process is mostly carried out with the help of CSS framework like Bootstrap, 960 grid and many more. To craft a responsive mobile-ready site, is a smooth and easy task along with Bootstrap. Bootstrap offers 12 – column grid system, layouts and components. You can perceive the number of spots in the grid framework that you may want each column to take part in, with the use of instant classes of Bootstrap. Grid can be maintained in a responsive mode that can simply modify it to a secured layout. It provides a layout of a website that has to be viewed both on a desktop browser or a mobile. If you want to develop a website or an application, then Bootstrap is the best option for you. It includes a comprehensive set of features. You don’t need to worry about coding from the scratch. Because, Bootstrap has its inbuilt blocks of codes that will make setting up your website easier. 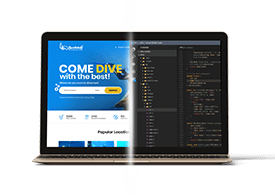 You can reduce the long-hour coding with the combination of CSS-SCSS functionalities and also get the cross-browser compatibility. Customized Bootstrap is very useful for your website. It adjusts or customizes as per the designs of your project. Only the web developer needs to make choice to select the required aspects, which are beneficial or related to the website and also turn off the remaining aspects that are not required. There is no need to edit any original style directly, to modify or apply additional style in your web page. You can simply add the proper code to your custom.css file. It helps you to get your website as per your choice. Bootstrap has a vast community support on Github. The community helps you to fix the issues promptly, with an immense support and release new and latest updates to fix the issues. Bootstrap facilitated, extended and protected on the GitHub alongside excellent numbers of commits and contributors.